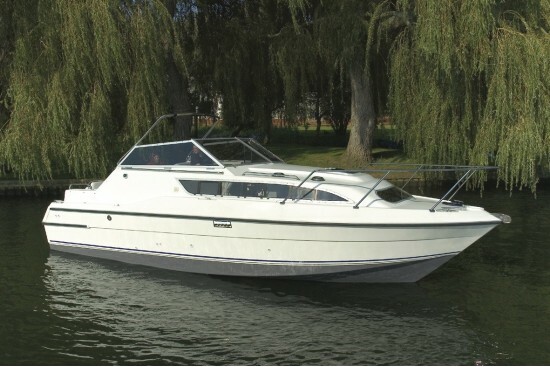 Designed to offer comfort, spacious living room and practically the Sheerline 820 Aft Cockpit is a custom built 4-berth cruiser. 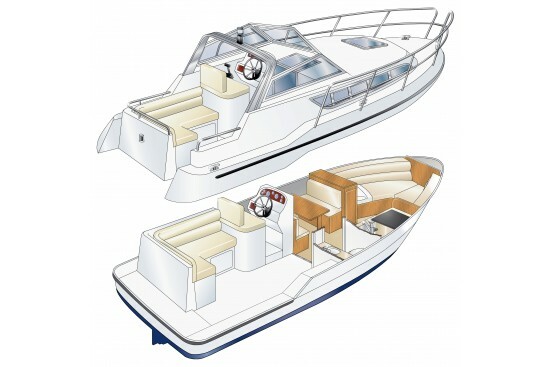 The options are for either a large open plan cabin, or a seperate sleeping cabin forward with the saloon at the aft end of the accommodation area. 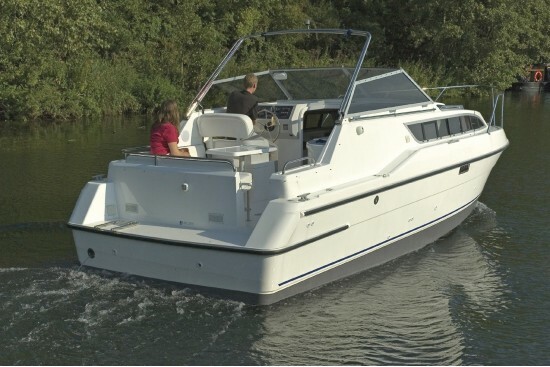 With the open plan cabin, the craft features a large semi-circular dinette/double berth to the bow with the galley and work surfaces amidships. 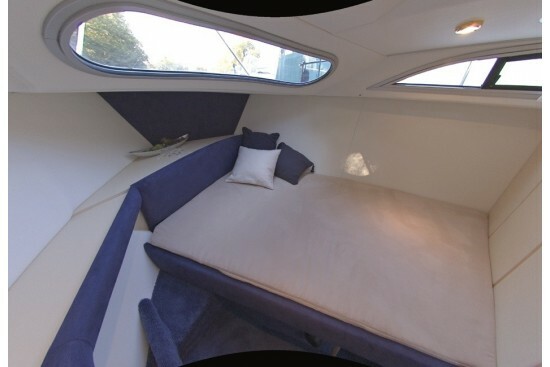 In the alternative layout, the seperate forward cabin has a cross-fitting double berth bunk with a solid bulkhead between the main accommodation area and a small L-shaped settee to port. The vessel has wide, safe, flat decks and a flat forward deck working area. 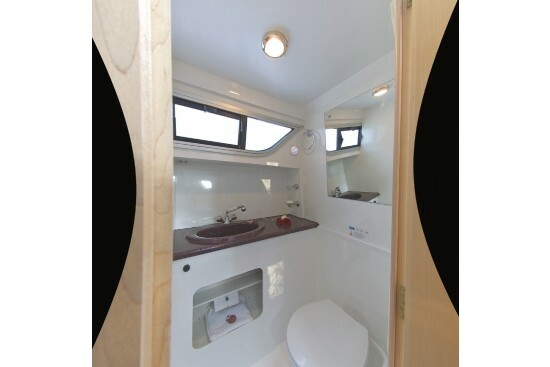 The well-designed cabin side windows offer plenty of natural light and good visibilty from the interior out - a rarity amongst this style of 'targa type' motor cruiser providing days of fun on the water.